Nice Kids Finish First: Study Finds Social Skills Can Predict Future Success A study finds that children who demonstrate more "pro-social" skills — those who share more and who are better listeners — are more likely to have jobs and stay out of trouble as young adults. A study finds that children who demonstrate more "pro-social" skills — those who share more and who are better listeners — are more likely to have jobs and stay out of trouble as young adults. Put yourself, for a moment, with a bunch of kindergartners. Then try and predict which one of them might finish college and get a good job two decades down the road. Is it the kid who knows her ABCs or the kid who has a good memory? Well, new research has tracked children from kindergarten into young adulthood, and it's found that the most important predictors of long-term success are not intellectual skills but social and emotional ones. NPR's social science correspondent, Shankar Vedantam, joins us now to explain. Welcome back. SHANKAR VEDANTAM, BYLINE: Hi, Audie. CORNISH: So let's talk about social and emotional skills and frankly, how you figure out what those look like in a kindergartener. VEDANTAM: Yeah. You know, social and emotional skills are not the first thing that spring to mind when you're talking about kindergartners, but even at an early age, Audie, when you walk into a kindergarten classroom, you can pick up how children are interacting with one another and how they're interacting with their teacher. So in this study - it was published earlier today in the American Journal of Public Health - researchers tracked several hundred children in Durham, N.C., Seattle, Nashville and rural Pennsylvania. And kindergarten teachers rated the children on a set of skills that are sometimes called pro-social skills. Damon Jones at Penn State University is one of the researchers. I asked him to describe what kind of skills the teachers were measuring. DAMON JONES: Does the child share materials? Do they resolve peer problems? Do they cooperate? Do they listen? And then they were pulled together to make one scale that represents what we think of as kind of pro-social skills at this age. CORNISH: So in what ways did researchers find that these skills made a difference down the road? VEDANTAM: Well, that's exactly the question they set out to ask, Audie. The children in the study were tracked for the next 13 to 19 years into young adulthood. Damon Jones told me that he and Mark Greenberg and Max Crowley wanted to see if the ratings of the kindergarten teachers could predict important long-term outcomes, such as whether these children finished college or got a good job. JONES: Along a continuum, the children are more likely to have success in these areas if they demonstrate these type of skills at an early age. CORNISH: So nice kids finish first. VEDANTAM: That's right, Audie. And you know, at one level, it's what you would expect. Getting along with others, working cooperatively - these are skills that are useful throughout life, certainly in any workplace. A couple of interesting things here, though - it's amazing that something that you're measuring in kindergarten can predict anything at all 15 to 20 years down the road. But the second thing that's important is that not all social skills might matter to the same extent. Teachers also rated these kindergarten students on their aggressiveness, but researchers find that these ratings do not predict whether kids will get in trouble with the police 15 to 20 years later. Again, it's the pro-social skills - the ability to put yourself in someone else's shoes - this is what shapes the likelihood that you'll stay out of trouble later on. CORNISH: So what are the implications of the study in terms of, say, education policy? VEDANTAM: You know, Audie, in some ways, it's a wakeup call. There are many studies now that have found that long-term outcomes are shaped by these social and emotional skills. There's been a lot of interest recently in early childhood education programs, and some analyses of these early intensive programs suggest the real value is less about boosting cognitive skills like reading and math and more about boosting these interpersonal social and emotional skills. Researchers are finding that these non-cognitive skills - things like self-control or perseverance or conscientiousness - these are building blocks that you need throughout life. Without them, you can't be a good student; you can't hold down a good job. CORNISH: Well, what if you aren't getting them or you're not inclined to that naturally? VEDANTAM: In some ways, Audie, I think it's actually a very hopeful thing because I think there's been a lot of work that suggests that these skills are quite malleable, so there's lots of things that you can do. Encourage children to play socially, develop interpersonal skills. Role-model these kinds of pro-social behaviors. The optimistic thing about this research, Audie, is that it looks like many of these skills actually can be taught and learned and developed, and this research seems to suggest it has really positive long-term outcomes. CORNISH: Shankar, thanks so much for explaining it. CORNISH: That's Shankar Vedantam. He regularly joins us to talk about social science research. And perhaps you want to talk more with him about this. 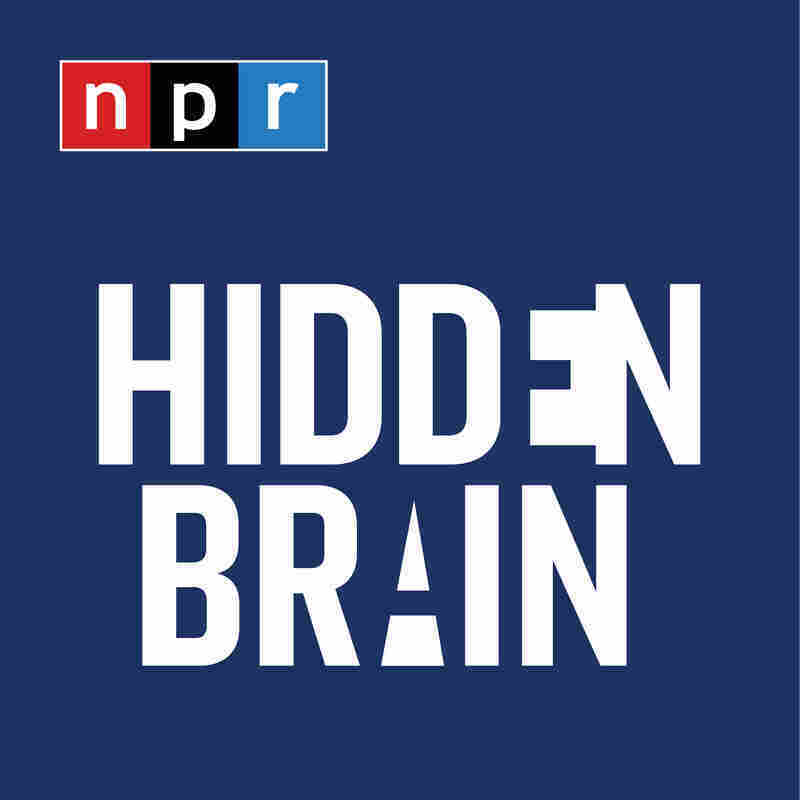 Visit him at Twitter @HiddenBrain. You can also follow this program @NPRATC and me @NPRAudie.